Home Sales and Marketing Relationships Reviews: You Like Us, You Really Like Us! Reviews: You Like Us, You Really Like Us! Now, I want to call your attention to the incredible opportunities that lie within online reviews and ratings. Consider a few of these 2017 statistics before you decide whether or not this should matter to your business. Let’s assume that those facts have convinced you that reviews matter. The next question is going to be which review site? Your industry may have its critical sites, like Healthgrades and RateMDs.com. and naturally, those are going to need to be part of your plan. But for all of us, Google matters and those reviews have the most influence on your search engine results and page rankings. 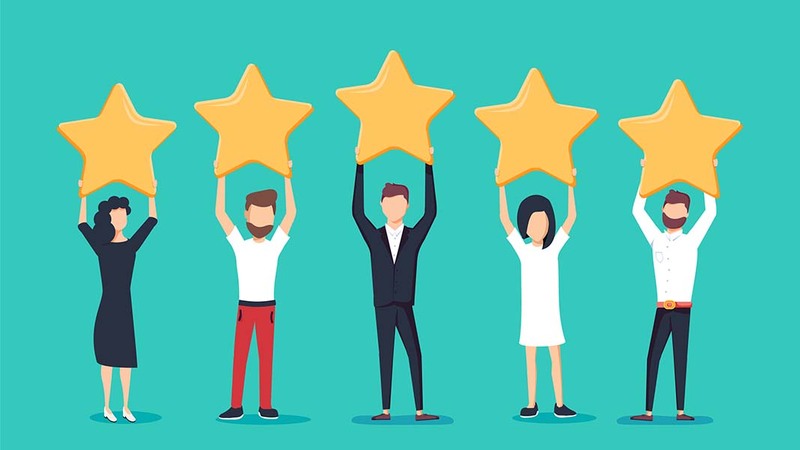 Regardless of where you’d like the review to appear, there are some best practices for asking and encouraging your customers to take the time to review your business. Know it’s not top of mind: For most of us, it doesn’t even occur to us to leave a review for most of our vendors, especially on the B-to-B side. If it does, it’s because we had a bad experience, which is why many reliable, good businesses have more bad reviews than good. This is not a passive, “I sure hope people leave us a review” sort of strategy. You’re going to have to ask. Timing matters: For every business, there’s a honeymoon phase when your client is happiest. Think of it as the new car smell period. For a couple of weeks after you buy a new car, you are reminded that you have a cool new car every time you slide into your seat. You need to know when your customers are in that stage and ask them for the review at that moment. In person is always best: For many of us, we have face time with our customers. As you wrap up the transaction, hand your customer a card with all the details they will need and ask them to take a few minutes to leave you a review. If you don’t interact with your clients directly, there’s nothing wrong with email. You’ll have better results if it’s a personal email rather than a mass mailing, but you can use marketing automation software to create that personal touch. Make it easy: Don’t just ask me for a review. Tell me where (which site) and give me a link directly to the right page. You can also put links on your social channels and website, inviting people to provide a review. Systemize it: This isn’t something you should do this week and then call it done after you get a few reviews. You need to have a process that makes asking for a review a regular part of your sales process. Your work isn’t done once you garner some reviews. Monitoring your reviews and responding to them is an equally important strategy. Look for that discussion to come.